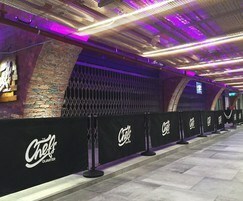 As part of the redevelopment of Bolton’s Market Place Shopping Centre, the vaults that lay beneath were uncovered and developed into bar and restaurant units. 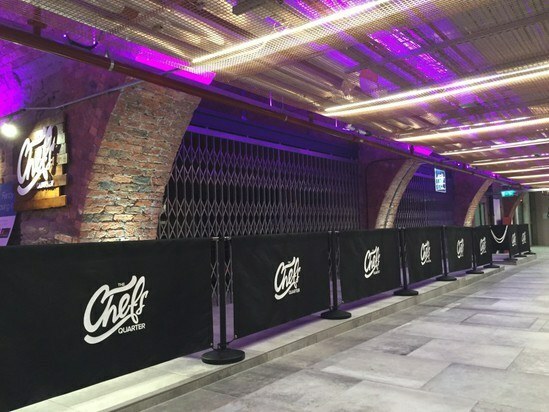 Bolton Gate Company designed, manufactured and installed 9 collapsible steel gates which spanned the openings to the units, some of which were arched. The gates are in keeping with the surrounding metalwork and a clear powder coating was applied over the galvanised substrate to match. 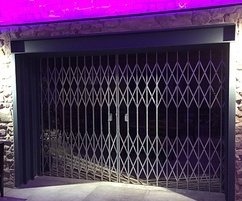 In addition to the vault gates, Bolton Gate also supplied a series of roller shutters, and smoke and fire curtains in the upper development of the project.